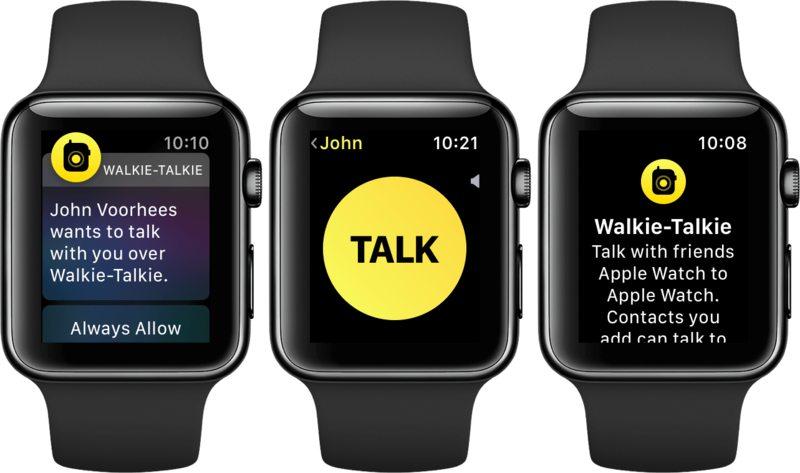 Brand new in watchOS 5, Walkie-Talkie joins the short list of apps available on Apple Watch which do not have a companion app on iOS. It also joins the short list of Apple Watch-specific communication interfaces; a list which thus far has been a panoply of flops from the Friends interface to the giant 3D emoji GIFs to Digital Touch. The latter did eventually make it to iOS and does still persist in the Messages app, but I don't think anyone ever actually uses it. Due to this category's troubled history, I initially struggled to rally optimism for another new Apple Watch communication method. As I've thought the feature over though, it's become clear that Walkie-Talkie brings a lot more to the table than usual. The new app is actually embedded deep into the system, and it does pretty much exactly what its name suggests. If you enable Walkie-Talkie mode – a simple on/off slider at the top of the Walkie-Talkie app – you'll start seeing the app's small yellow icon flash briefly at the top center of your watch face every time you raise your wrist. At first I thought this was a bit heavy-handed for something I don't expect to use all the time, but once I realized what exactly that tiny yellow icon implied I was instantly on board. When Walkie-Talkie mode is enabled, at any point in time any of the friends who you have added in the Walkie-Talkie app can start speaking to you through your Apple Watch's speaker. You don't have to accept the transmission, you don't get notified first by a tap on the wrist, your Watch just beeps once to indicate a Walkie-Talkie message and then starts streaming your friend's voice out into the air. Think about that. This is a major break from any previous system-level communication method on watchOS, iOS, or even macOS. That little yellow icon is indicating that your system is in a state where it can start making noise unexpectedly at any moment. Moreover, that noise will be a voice and the Watch will be broadcasting that voice at whatever volume setting you left Walkie-Talkie mode in last. By default, it's quite loud. The potential consequences of this are obvious, but the potential benefits should be as well. Actual walkie-talkies are an old technology which has remained in use for decades because it is extremely valuable in specific circumstances. The watchOS 5 Walkie-Talkie app brings essentially the exact same benefits, but works over the Internet and therefore across all distances. Many walkie-talkies are put to use in areas where there is no Internet, and that's a clear flaw in this feature which is sure to keep the old technology relevant for now. Assuming Internet though, having a walkie-talkie attached to your wrist instead of the classically bulky, phone-like devices on your belt seems much nicer. Having that walkie-talkie also be a smartwatch that can do a myriad of other useful things is another big benefit over the old single-purpose devices. To be clear, I don't think Apple is going after that market because the "walkie-talkie market," if there is one, is certainly not big business. It's interesting though to see Apple stepping into an industry that I don't think has seen much innovation in many, many years. Walkie-talkies fulfill a venerable idea which isn't utilized very often anymore. Maybe the relevance of that idea could rise once again if it were suddenly attached to hundreds of millions of wrists. When you first open the new Walkie-Talkie app you'll be greeted with the yellow icon and a block of text briefly explaining how it works. Scroll beneath the text and you'll find your contacts list. To start talking to someone, pick their contact from the list and send them an invitation. They'll get a notification on their wrist informing them that you've invited them to walkie-talkie with you, and their only options will be to always allow or to dismiss. Choosing always allow means that any time either of you has Walkie-Talkie mode enabled, the other will be able to speak through your Watch speaker at any time. If you miss the notification or dismiss it and then change your mind, as far as I can tell you'll need your friend to re-send it. This feels like a bug to me, but as of the watchOS 5 GM that notification doesn't show up anywhere once its gone, not in Notification Center and not even in the Walkie-Talkie app itself. If you want to take the initiative then you can just send an invite to your friend. Walkie-Talkie is strictly a two-way street, so the one accepting the other's invitation is also signing up to receive incoming audio at any time. Once you've invited a friend and they've accepted, you'll see a big card with their name on it above your contacts list in the Walkie-Talkie app. If you want to talk to them, just tap their card to enter an interface which is just the friend's name at the top and a giant yellow "Talk" button occupying the remaining space. Tap and hold that button and you'll be instantly streaming audio to your friend's Apple Watch. Release the button and your stream will stop. That's pretty much it for the Walkie-Talkie app. The interface is light and easy like any good Watch app should be. If you have a lot of friends that you're enabling this feature with, the giant card interface might start to get cumbersome. I think in general it will be a good idea to cull friends from there once the occasion that you require Walkie-Talkie for has ended. You can always add those friends back with a few taps the next time you need them to be available. To delete a friend in the Walkie-Talkie app, just swipe their card to the left to reveal a delete button. Walkie-Talkie includes a simple launcher complication which you can add to your watch face to easily access the feature. That said, in most cases the complication should not be necessary because the small yellow icon that flashes at the top of your screen when you have the mode enabled actually acts as a launcher itself. In my experience the Walkie-Talkie icon always flashes first when it's enabled, so if you raise your wrist and then rapidly tap it you can access the interface quite quickly. It flashes fast, so personally I've had more luck accessing it consistently by double-tapping the icon. Even though it only requires a single tap, it's such a small target that tapping twice greatly increases my hit rate. Given its deep integration into the system, I think Walkie-Talkie stands by far the best chance yet of being an Apple Watch communication method that actually gains some traction. This is never going to be something that most people use on a regular basis, and it's never going to be a standard way that we communicate with our friends. However, it doesn't have to be a huge phenomenon to be successful. Friends and giant emoji and Digital Touch were all trying to wedge themselves into our existing methods of communication, yet none of them were as good as existing methods. Walkie-Talkie is an entirely new communication paradigm. While it may seem like a simple feature, under the hood Apple has done some significant work throughout the system to enable this feature. I think this shows that Apple truly believes they're onto something with it. Walkie-talkies don't need to be confined to campouts and multi-vehicle road trips. My sister got married this summer, and looking back on that day I keep thinking about how useful the Walkie-Talkie feature could have been to communicate across the large venue during the hours of setup throughout the afternoon. There were a lot of moving parts and a lot of texts flying around, but the day also involved changing into tuxes and dresses. Passing actual walkie-talkies around and keeping track of them would never have flown – it would have felt like overkill and been a strange annoyance. However, many of the people there were wearing Apple Watches. With watchOS 5 and Walkie-Talkie mode, communication could have simplified greatly with a minimal amount of preparation. That's the kind of communication paradigm that gains traction instead of falling by the wayside. Walkie-Talkie has a variety of clear niche use cases, and if Apple can do the work to make sure people know the feature exists, I think they'll actually utilize it. Notifications are one of the core selling points of the Apple Watch, yet they haven't seen much change over the past four years. One of the few features that was done well from the very beginning, they've managed to hold up better over time than many other parts of the system. In lieu of the notification changes that Apple made in iOS 12, this may have been the first year that Apple Watch notifications started to look long in the tooth. Thankfully Apple was right on top of this, and notifications have seen a nice bump in watchOS 5 to keep them in step with their iOS counterparts. watchOS 5 notifications are more interactive, supporting customized controls which enable user action without having to open the corresponding app. 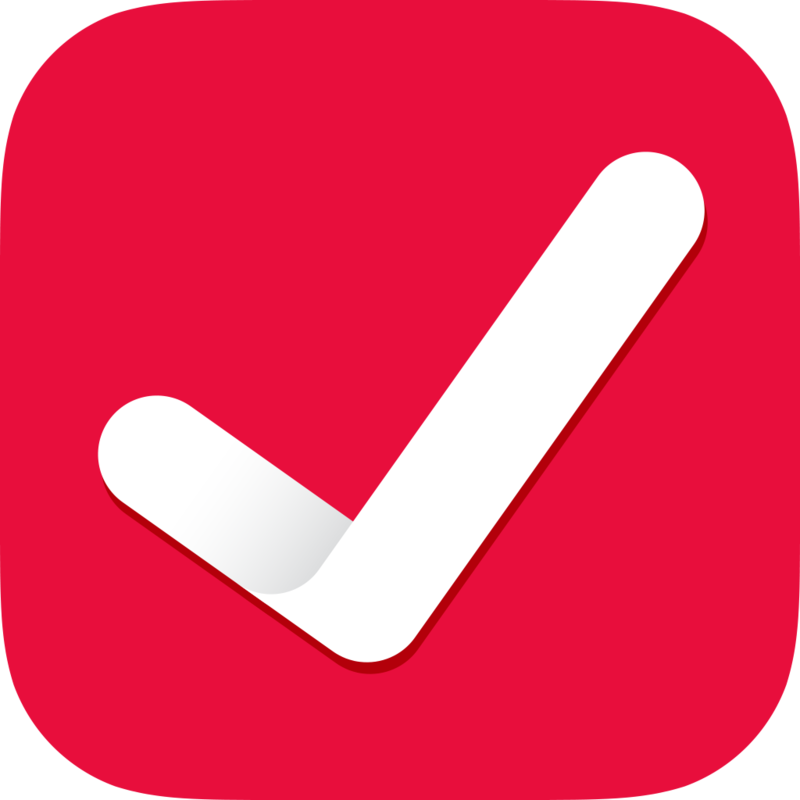 If a third-party app supports interactive notifications, it can reload the notification interface based on buttons pressed by the user. Apple recommends that developers keep these interactions fast and simple. If a user needs to interact more than two or three times with a notification then it may be better to push them over to the app itself instead. watchOS 5 notifications also now stack just like iOS 12 notifications. This means that if multiple notifications from the same app come in at once, they'll stack on top of each other and require a tap to expand them. I like this feature in most places on iOS 12, but on watchOS I haven't found myself as enthralled with it. In general on my Watch I want to be able to easily see all of the notification I've just received. While Apple claims they're trying to reduce scrolling with this feature, in practice they've actually just added a step to the process: before I can start scrolling through the notifications I've received I now need to tap to expand them. I think the difference between iOS and watchOS for me comes because I almost always look at notifications immediately when they show up on my Apple Watch. On my iPhone I tend to let multiple notifications collect, so saving screen space by grouping apps is less of an annoyance. The Watch rarely receives so many notifications in a row that I feel the need to group some in order to streamline scrolling through the others. Notification grouping can only be enabled or disabled on a per-app basis, there's no global setting for all of them. Apple Watch notification settings default to a "Mirror iPhone" option for all apps, and notification grouping is part of this. Thus, if you have any particular apps grouped or ungrouped on your iPhone with iOS 12 then your Watch will mimic that, unless you've changed your settings in the past to not mirror your phone. All of these settings can be found in the Notifications section of the Watch app for iOS, so you can hop in there and tune things to just how you want them. Four years in, WebKit is finally making the leap to Apple Watch. Prior to watchOS 5, Apple's smartwatch operating system did not contain the ability to load content directly from the web. Given its tiny screen and relatively slow data transfer speeds, I don't think this has been particularly missed. With the advent of cellular Apple Watches though, adding WebKit is another necessary stepping stone toward the devices maintaining full functionality when disconnected from their companion iPhones. Web content can be found in two main locations in watchOS 5: Messages and Mail. Now when your friends send you texts with links, you can tap on those links in the Messages app for Apple Watch to open them in a miniature web view. The Apple Watch attempts to specifically tailor web pages for the small screen. If a page supports Apple's Reader mode then it will automatically be enabled, making text as easy to read as possible. Otherwise, the page will be loaded on the tiny display, and if the developer set up any media queries to target it then the formatting can lay out however they want it to. In practice this seems to work fairly well overall. In Mail, web content is used to actually display formatted emails in full. Prior to watchOS 5, emails with formatted HTML content would just display as text with a note to try opening them on your iPhone if you want to see the full message. Now those messages can lay out directly on your Watch, making the Apple Watch Mail app significantly more full-featured and potentially useful. All things considered, web content on Apple Watch probably won't fundamentally change how we use our smartwatches in the way that it changed how we used our cell phones. The screens are just too small to make navigating the web convenient or inviting. Still, the web doesn't have to fundamentally change the experience to be a great addition to the system. Now cellular Apple Watch users can feel even more empowered to leave their iPhones at home. One other thing to note here: web content is only available on Apple Watch Series 3 and above. While that's a bit of a shame for Series 2 and earlier users, it makes sense given the even slower data transfer and processor speeds on those old devices. Apple is trying to pose its new student ID card feature as a headline addition in watchOS 5. While technology-wise it's certainly interesting and ambitious, I'm classifying it as miscellany because it's impossible to test and is only going to affect a tiny fraction of users. To sum it up, watchOS 5 Apple Watches can now act as ID cards for a select few prestigious universities. This feature appears to be using the same technology as Apple Pay: readers will be set up throughout campus and students can simply hold their Apple Watches near them to connect. These readers will offer access to buildings and dorms, or charge payments to student accounts for laundry, snacks, or dinner. Apple is using the same technology with their employees to allow access to areas of their new Apple Park campus at an individual level. This is an awesome use case for Apple Watch, and I think students at these universities as well as Apple employees are going to love it. The launch partner schools are The University of Alabama, Duke, John Hopkins University, The University of Oklahoma, Santa Clara University, and Temple University. For most Apple Watch users though, the infrastructure requirements for this means that it won't be relevant to them for a very long time, if ever. A more accessible new feature of watchOS 5 is the ability to schedule end times for Do Not Disturb mode. This addition is built into the Do Not Disturb button in Control Center on the Apple Watch (the moon button). In the past tapping that button would immediately toggle DND on or off. Now tapping it the first time will bring up a list of options: On, On for 1 hour, On until tomorrow morning, On until I leave, and On until end of event. The second to last will show your current address in small text at the bottom of the button, and the last will show you the title of any ongoing event you may have on your calendar. Using the schedule options will result in DND mode being disabled automatically at the specified time. You can of course always toggle it off manually via the Control Center button at any time. The remaining miscellaneous items all showed up just last week with the announcement of the Series 4 Apple Watch. The new Watch models are going to feature larger screens with rounded corners, and the entire operating system has been updated to work within these loosened constraints. I'm very much looking forward to getting my hands on a Series 4 Watch and seeing all the work Apple has done here. For the purposes of this review though, I'll just point you to my Apple Watch Series 4 overview from last week. It goes into detail on the new hardware, and describes the six new watch faces that will be joining us with the Series 4 Watch. Of these watch faces, four are also being released on previous Apple Watch models: Fire/Water, Vapor, Liquid Metal, and Breathe. All of these faces show simple watch hands with colorful, moving backgrounds. They support the same complication layout as the Utility watch face (two small upper corner complications and one large bottom one), and they're all pretty boring overall. If you use the Breathe app constantly then you may like the new watch face that ties into it, but otherwise these feel more like novelty faces. The other two new watch faces look fantastic, and offer more complications than any faces we've seen before. Since these are strictly limited to the Series 4 Apple Watch though, I haven't been able to get my hands on them to test things out at this time. Make sure to check out that overview for more details on those faces and on what else to expect with the Series 4. Between watchOS 5 and the Apple Watch Series 4, it really feels like Apple's smartwatch teams have hit their stride this year. For the first time the operating system feels like it's escaped the specter of its past mistakes and is forging forward unencumbered. The feature set of this year's update strikes a diverse number of regions across the system, and iterates upon all of them rather than rebuilding from scratch. This is a sign of an OS beginning to mature, and watchOS sure feels like it's heading in that direction. Third-party developers are more empowered this year than they've ever been before. 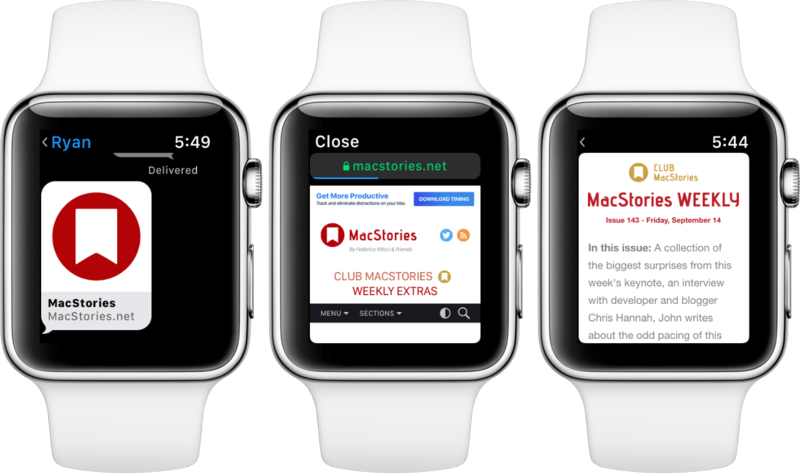 Their apps can run in the background as audio sources, their notifications can include rich interactions, and their shortcuts can be triggered via Siri and (in theory) displayed on the Siri watch face. Cap things off with access to the system volume controls, and we should expect to see a whole new crop of legitimately useful Apple Watch apps coming down the pike. The few I've beta tested bear this out, and I'm excited to see even more join over the coming weeks and months. watchOS is no longer a joke for developers, and that is fantastic news for Apple Watch customers. On the fitness side of things, watchOS 5 brings a variety of smart and useful improvements. Runners definitely got the most love this year, but new workouts for yoga and hiking open the doors to new people. Everybody benefits from automatic workout detection, and I'm excited to see that feature continue to evolve moving forward. The Siri improvements seem to falter in execution, but the declared features are all exactly what I was hoping for. Third-party apps on the Siri face and not having to say "Hey Siri" are both the right ideas. I hope other users have more luck with them than I have so far, but either way I'm sure by next year they'll be closer to par. Walkie-Talkie mode feels like Apple at its best. It's a whimsical new feature that no one asked for or expected, executed impressively and baked deep into the system. This addition isn't going to change the world, but not every feature has to. Similar to its namesake, I expect Walkie-Talkie mode to occupy a small niche of usefulness, but be invaluable in those situations where it's useful. I just hope that by the time people are in need of it they haven't forgotten that the feature exists. For both hardware and software, 2018 feels like a turning point for the Apple Watch. The device has seen its first significant redesign, including a big new display that will give the operating system some much-needed breathing room. watchOS itself is still young, but the growing pains that plagued it initially have been put to bed. watchOS 5 marks the first unhindered step into a new chapter for the Apple Watch. I can’t wait to see how things progress from here.